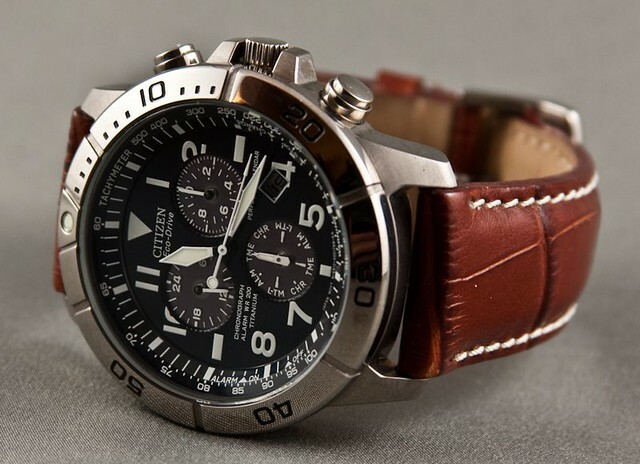 Citizen company has a good name among timepiece enthusiasts. Providing innovatory solutions, great quality and fantastic user satisfaction rate Citizen has become well know company. More then a few decades ago company introduced Eco-Drive — light-powered watch. Since than only in North America company has been sold more than 9 million of these and sales seems not going to slow down. One of the most popular that series product is Citizen BL5250-02L watch. In this review I will have a deeper look at it and will try to provide my honest consideration about advantages, wearing experience, features, and, of course, things that could be improved. First about the watch concept. Who doesn’t know, you will never have to change Eco-Drive watch battery. Company has patented the technology, which harnesses the power of light and converts it into energy. Good things first. From the very beginning watch requires some adjustment. I have to notice that these are made only one time and the reason for that is very simple — watch is very accurate and has perpetual calendar to 2100 year. Citizen BL5250 has Caliber E812 Japanese-quartz movement and everyone knows that unlike the automatic ones, quartz keeps to be very accurate. What is more, it recognizes short months along with leap years. Functionality for casual chronograph is great at this price point. It is magnificent tool for tracking down time and date, but my favorite part is perpetual calendar. In the instruction (manual) of Citizen BL5250 you will find how to properly set date indicating the leap year, but I will tell that in few words anyway. So current month is set using the second hand, while the year in relation to the last leap year (1,2 or 3 years after) is set by chronograph hand. In a matter of fact, you can find a lot of options in this timepiece, but don’t be afraid of that. Citizen has done a great job with the manual and all the adjustments are described in details. You will also get a special CD with all the instructions. So I will leave this niche for your explorations and will go for another things. The appearance and ergonomics are just brilliant and distinguished. Citizen BL5250 case is made of titanium. That material isn’t very common, but is great solution for light and sturdy construction. What is more, titanium has special features — in 99,9 percent it won’t cause allergic. The face is covered with Anti-Reflective Mineral Crystal, which is fine for this price tag and has great protection against minor scratches. The watch face color is really not the dark blue, more likely deep black. The dial in light is purely white, while in the dark will glow bluish green. The luminosity in this watch is great and can stand all night long. One great thing, in the dark timepiece second hand stops and only starts working when watch absorbs the light. In this way watch is able to save the energy. This Eco-Drive representative looks solid and wearing experience is great as well. 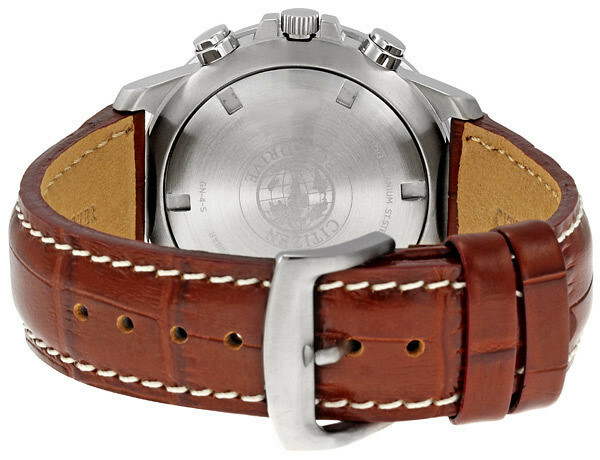 Band is made of brown leather and is in the range from medium to high quality. Combination of titanium case, dark face and brown leather band is something appealing. You have to wear it for a while to feel it and to find the favorite functions personally for you. And that is not so hard because at the moment you can buy it with 40% lower price that manufacturer’s suggested retail price. What is more, Citizen is providing even 5-year warranty! If you still have any doubts, you should check out other Citizen BL5250 owners personal reviews, what will make the last impression. Enjoy it! This one is the first watch for me and I am very comfortable with this one. It looks very nice and its quality is excellent. Have this one for few months. Experience with it is great. Watch is just as good looking as the picture shows. The watch looks very elegant and is comfortable. I have gotten compliments on it. What is more, many people and I too really think it is more expensive than it was. It has many features on it so it is useful for a variety of reasons. Recommend! I have to say this one of the most comfortable watches I have ever worn. There are few reason for that. It is easy to read, not too heavy, and brilliant strap. I have gotten many compliments in the short span of time I have had it, it goes great dressed up or with jeans and a t-shirt. It is my first Citizen and I am very happy with it. Approved.